Back in the old days, when we only had a desktop PC, security was simpler. But now, with multiple devices and an increasing variety of attack methods, keeping everything secure and up-to-date can be a daunting task. Avast 2015 simplifies the task with the best antivirus and anti-malware protection possible, the ability to remove annoying browser toolbars, one-click scanning for malware, updates, network security, and PC performance, and the world’s first home network scanner. To help simplify device security for your family, Avast 2015 now allows you to use a one-click smart scan to scan for hacker threats, software that needs to be updated, your home network security, and your PC‘s operating status. One of the weakest links in people’s security is out-of-date software. Hackers take advantage of old software, but it’s actually one of the simplest areas to defend. With the improved Avast Software Updater, you are notified when there is a patch or update to the software you’re running – regardless of who it’s from. PUPs (potentially unwanted programs) like toolbars and search resets are not only annoying; they’re dangerous. They collect information distributed to advertisers or anyone willing to pay for it. The improved Avast Browser Cleanup removes annoying toolbars and search settings, allowing you to choose the settings you want and accelerate PC performance. The Avast 2015 security solution is available in four variations for home use—Avast Free Antivirus, Avast Pro Antivirus, Avast Internet Security, and Avast Premier—and in 45 languages. Avast also provides world-class protection for businesses and mobile devices. 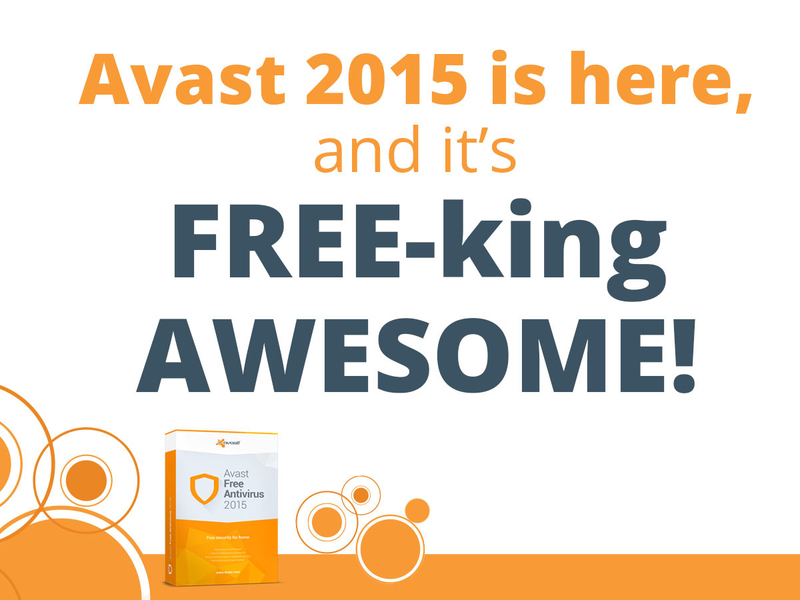 Visit www.avast.com to learn more and download.